An effective agreement is a legal arrangement between a potential purchaser and the property’s seller. Due to Laws vary from state to state, but in order to be a legally, binding agreement, the agreement may require consideration. This consideration (initial and additional deposit) is to be held in the closing agent’s escrow account pending the fulfillment of conditions or contingencies in the effective agreement. 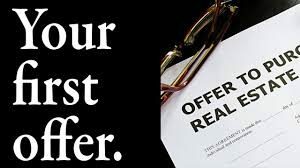 Now that they have chosen your offer, you and the buyer will be given a timeline to mark every stage in the process of closing the real estate contract. Meeting the requirements on time ensures a smoother flow of negotiations and also ensures that each party involved is not in breach of their agreements. During the process we will keep you constantly updated so you will always be prepared for the next step.